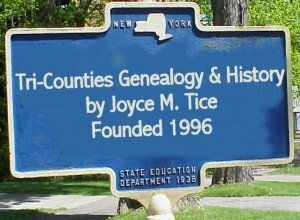 Introduction by Joyce M. Tice - Edwin Benedict, husband of Ellen Hulslander, lived on the Austinville Road in Columbia Township just east of the Bradford - Tioga County line. To date we have foud three of his diaries. Two of them were found in a trunk in the ruins of the Hulslander-Benedict house by Carlton Wilson. They will be transcribed and presente do thi8s site latger. This one, 1865, has been in circulation in typed copy for some time and Nicole DALIA Case had a copy of it. She retyped it for us and we are presenting it here. I do not know where that original document is or who transcribed it originally. Edwin's diaries are unusual in that he was am much beter writer than most we encounter, and he covered his daily life much more thoroughly than other diarists of his time and place. They are a great pleasure to read. I was engaged all day drawing manure. Father helped me draw 13 loads on the ploughed knoll back on the barn. I have drawed 27 loads on the piece in all. Daniel Benedict came here today, he succeeded in buying the farm he went after, terms $6000, $1000 down and the rest in thousand dollar payments. This evening I went to Frank Bakers and bought 6 bushels of rye for seed. Price not known. I paid him 2 dollars and amount to pay the rest soon as we ascertain the price. We took the wool down to H. Budd, whole number of pounds, 119, price 62 cents. Budd was not there, did not get the money. Melinda went home this evening when Daniel did. Drawed 7 loads of manure this A.M. on the knoll where we did yesterday. Father helped me & this P.M. I worked alone, drawed out 4 loads. We have now 38 loads on the knoll. The day was intensely warm. This P.M. cloudy & cool, this A.M. Elijah & Julia, Daniel & Mary are gone over to their place to see it. Went with our carriage. Father has been at the ville this P.M. Ellen has been unwell today. Ellen, Mary & I milked Elijahs cows this evening, as they have not returned. Father was down to caucus. Ellen was so unwell that she did not go down to the singing school at the ville. Julia came & staid with Ellen and I went down with Elijah to the sing. Was at 2 P.M. We sung until 5 P.M., got home, found Geo. & Homer here. Ellen had gone home with Julia, so I went up to come down with her, found Wilber Stewart & Lin there, this was a very warm day. Father sowed on the knoll, 3 bushels of rye and I with team dragged it partly over. The weather was so intensely warm that I could not do more than half a days work with team, dragged quite steady the A.M. Had visitors so did not work the P.M. Aunt Eliza Stewart & Wilber from Jackson were here & Daniel & Mary B. & Mother Hulslander & Elijah & Julia were here all the P.M. Daniel & Mary are to stay all night. This evening Daniel & I went up to Elijahs this evening a few minutes. I talk of buying his place since he has bought large farm with Daniel. Ben Barnes was married to Wm. Hooses widow this evening. Daniel & Mary left here this A.M. for Father H’s residence. Father sowed two more bushels on the knoll which finished it and I dragged all the A.M. Twas so warm I could not drive them more than half of the time. I did not get it all dragged over. Twas so hot that I did not take the team out this P.M., but I busied myself setting fires to stumps and logs in the pasture. Ellen has been spinning all day. She has not been very well. We had a nice thunder shower just before sundown. Fires burn well, tis so dry. I commenced dragging this A.M. and was interrupted by a shower of rain about middle A.M. I then went to thrashing the peas as it cleared off again. I went out to dragging again & father finished threshing. I finished going over once and commenced to cross drag by noon. This P.M. one of the mares appeared sick & I turned them out and went to cutting corn. Father has been cutting all the P.M. I cut 18 rows, it looks well & is pretty ripe. The weather is moon cool today. Twas the back piece of corn I was cutting today. I finished cross dragging the knoll this A.M. & this P.M. I bound & set up the piece of corn Father & I were cutting yesterday. This P.M. father went down to the ville & got pay of A.Budd for the wool, the whole amount is $73.78 for 119 pounds of wool of which I had one half or $36.89. I paid father $5.00 borrowed money and $5.00 he paid for me to Elijah some time ago. Ellen spun 3 skeins woolen yarn and done the work today. Daniel came over to Elijahs today and they went past to the ville. The bought them a lumber wagon at John Morgans for $50. Father & I commenced cutting up the corn down the road, when we were driven in by the rain which commenced about 10 A.M. and has kept up at intervals all day, so I rested. This P.M. I went down to the ville and got a shoe set on Jennie mare at Wm. Smiths shop $20 cents, charged. I paid A. Budd $2.00 for the firkin we have had of him. Paid C. Strait $1.25 for scythe, paid G. Tracy $5.00 borrowed money & $2.00 grocery account to go to H.B. Watkins. Bought of A.B. Austin 7 yards stripped shirting at 26 cents a yard. $2.18 had it charged. Julia had a quilting & Mrs. Besly & Mother went up to it. I paid Sylvester Blood 10 cents for paint. I threshed flax seed this A.M. & this P.M. I went to the ville a horseback to look after cows & to see who wanted wood for this winter. I found cows but at nimbus prices $40 and $50 are asked. The day was dark and cloudy. Father, Elijah and Daniel went over to Johns to see about buying the cows and getting privilege to move on the farm they have bought. The Johns’es have a lease for the pasture this year. Daniel & Mary are at Elijahs. Ellen & Mary were at Elijahs quilting today. Bought of L.B. Slade two photographs of Lincoln, paid 30 cents. Paid postage bill to L.B. Slade 25 cents. It has been showery all the A.M. Elijah, Ellen, Mary and I went in carriage down to the ville but there was no singing school so we came home. This P.M. Geo., Charly, Lin, & Mary Smith were here. We all went to the ville to meeting. Saw Daniel & Mary this evening. James Benedict, his mother & a Mrs. Vole came & brought Daniel & Mary here but they went up to Elijahs to stay this evening. Elijah is not very well. The young folks went away just dusk. I cut up corn on the piece down the road, finished then bound and set it up this A.M. P.M. I fixed fence up on Elijah so I could turn into his side hill. We got permission to turn our sheep in them so we fixed the fence to keep them in. We assorted the sheep, put the ewes on Elijahs side hill and the bucks & weathers on ours, 36 ewes, 16 bucks, & weathers here one ewe missing. Daniel & Mary came here this evening and are to stay all night. Ellen & Mary were up- to Julias a quilting today. I was engaged nearly all day threshing flax. I got it all threshed about middle P.M. I harness the team and drawed the flax up into the orchard to be spread to rot. Father went to the ville this P.M. Elijah went up to father H’s this P.M. and got the threshing machine & brought it home. Daniel & Mary went up with him, while there Daniel was taken sick and did not return with Elijah. I was engaged nearly all the A.M. spreading flax in the orchard having got that done, Elijah came for me to help him set the threshing machine he got from home yesterday. This P.M. Father & I have been helping Elijah threshing. We could not thrash much as we had to brake a horse to head. Threshed his oats and spring wheat. Had oats 10 bushels, wheat 3 bushels. Day warm. Ellen had spun 4 skeins woolen yarn. Elijah sold a hog for $40 to John Morgan today. Father & I helped Elijah thresh. Got done about middle P.M. I then came home harness team and moved the farming mill & then the machine down here. We did not have time to set the machine. The weather was very warm. Elijah had only 16 bushels of barley. Both his horses work good on the machine Bethuel Millspaugh was here and took dinner. Ellen spun 2 ½ skeins today. Mariette Hover called here3 on her way to McDoles, she had been to the ville. Elijah owes us 2 ½ days work. Elijah came down and helped us thrash, brought his horses. We did not get to thrashing very early because we had to clean up the flax seed, which we has 2 bushels and a half. This P.M. John Knapp helped us thrash and we drove things. We did not get time to clean up any of the oats but we thrashed them all. Mary went up and helped Julia milk tonight. The day was very warm. We used our horses and Elijahs to on the machine, ours went well. As we did not finish threshing yesterday, John and Elijah both came to help us out. We spent all the A.M. cleaning up the oats and storing them. This P.M. we thrashed the barley, got done about 3 P.M. & we loaded the machine and Elijah took it home. John stayed and helped us clean up the barley, had 20 bushel and 125 bushel of oats. After cleaning up- the grain we pitched a part of the straw back in the barn. Elijah and I call ourselves even on work. Mother & Ellen went down to the ville this evening. Ellen got $2.20 cents worth of goods at A.B. Austins and paid for it. Ellen & I went up to Father Hulslanders this A.M., stayed all day. Father H. is very sick. Daniel is also quite unwell. All the rest are well and in good spirits. We has a real pleasant visit. Mary Monroe was there with us. I took Mrs. Monroe’s saddle home. The day was very pleasant. Today being a cold rainey day, I did not do anything but set in the house, read and played on the violin until 3 P.M. I then went tot he ville with horses and wagon and got a hook put on democrat, single whiffletree, at Wm. Smiths shop, 16 cents. Twas charged, got a barrel of wheat flour $9 dollars of A.B. Austin, I paid A.B. Austin cash $15.00, had the same credited on book. Bought ½ pound of copperas for horses (5cents, paid) Father was down to the ville all day. Came home with me at night. Mother is spinning & stocking yarn today. The weather is quite cold & I put up the horses in the stable tonight. I give them half a scoop full of the mares copperas in their feed to cleanse their blood. Gives them table spoon full once a day. Father took off a part of his draws of honey today, set them in the back room for the bees to leave. My tent mate N.H. Robbins came here this A.M. and stays with us tonight, so I did not do anything but visit. Elder H.E. Whitney, wife and little son, visited with us this P.M. I sold to "Deak" Smith ½ peck of peaches for 25 cents, received pay. Lent John Knapp 10 bushel of oats until he can thresh his. The day was wet and cloudy the A.M. but this P.M. has warm and fair. Daniel B. and Elijah were here a while about noon. Daniel reports all well as usual at home. Father H. was no better. Nelson & I pulled beans nearly all the A.M., pulled all but one piece, then we went a fishing with our hands along the creek. Caught a large string sent them to the house to be cooked for dinner. We then went on catching and by dinner time had another large string. This P.M. I drawed corn from the piece down and below the road, got it all drawed. Nelson & Father went down the creek fishing and got another very large string of fish. The day was cool but pleasant. Nelson is staying with us tonight. Father sold the colts for $50 dollars today. The man has not taken them away yet. Nelson H. Robbins helped me draw corn, beans and pumpkins, put the corn in the yard by the corn crib. The beans there two, the pumpkins I put in under the shed. Got the corn & beans all drawn. Mr. Beardsley took the colts away this evening. Father went to Troy with Daniel and Elijah this A.M. daniel & Elijah have heard from H.H. Dent by letter in regard to the place. He deems letting Seely Johns the place as Johns claimed, so the boys feel better about it. The day was warm and pleasant. Nelson is staying all night with us. Ellen washed today. My friend N.H. Robbins went away from here this A.M. for W. Bensons. We have had a very pleasant visit. Sold to Passeri 25 cents worth of peaches. Father & I have been engaged stacking straw at the barn this A.M. Went with Ellen to the garden, got sugar corn & tomatoes which Ellen is drying. Gathered seed cucmbers and some squashes. This P.M. I cut briars and bushes from the corners of the fences. Daniel P. Benedict bought him horse team for $230. He & Mary came to Elijahs this evening. Ellen & I have been up there. The day was nice & fair. Turned the cows on the lower meadows this morning. Father went with Elijah and Daniel over to their place early this A.M. and this A.M. Ellen & I went to the ville and got 2 shoes set on the horses at Wm. Smiths shop, $40 cents, charged. Ellen got a pound of soda at A.B. Austins 10 cents (paid). The day is warm and pleasant. Julia & Daniels wife were down here this P.M. and got some peaches. Sold Mary (Daniel) ½ bushel of peaches $1.00 received cash. Gave Julia some. I have drawn two loads of stone off the meadow to make a shed wall. Father returned this evening and reports that he likes the boys farm well & that they have arranged to move over next week Wednesday. Our cows have gained one pan of milk since we turned them below the road on the meadow. Father let EL. Hulslander have $140 cash today, also let him have $10 some time ago. We all went to the ville this A.M. to singing school. Geo. & lin were there too and they came home with us and we all went up to Elijahs too a little while the P.M. The day was quite pleasant. Twas showery today. Father & I went up to Elijah and cut his corn for him. Cut one piece bound and set it up, cut the other piece but did not get it all bound. Elijah & Julia, Daniel & Mary went to Troy today. Elijah took his butter down 5 firkins, got 42 cents. Daniel went for a load of his goods. I stacked what beans I have around a pole. We husked some of our corn between showers. Sold Deak Smith ½ bushel peaches, received $1.00. Bought of E.L. Hulslander his farm containing 82 acres and 67 rods of land at $25 per acre, 5 cows for $200, 18 tons of hay $7 a ton, articles thrown in part ownership of Buffalo $5, 24 tin pans, 2 tin pails, one churn, one churn machine $20, 600 feet siding $5, some scanting $2, stove tub $2, sap barrel $2.25, some sowed corn $10. We have not drawn writing. This is the bargain. I was all the A.M. making bargain. This P.M. we, Elijah, Father, & I went to the ville to draw writing and take up note held by A.B. Austin against. Elijah & Austin was not there so we postponed it. Gives possession immediately. I pay Elijah $2379.40 for the place. The amount Father paid to Elijah Saturday $150 is to be taken out of the amount of the place for which I owe Father. He paid it for me. I am to have but one choice in the selection of cows but not a satisfactory one. He selects the 6 that I may have 5 out of. I did not do much of work today. Bound up a few bundles of corn for Elijah. Elijah is busy, he intends to move one load of things tomorrow and then go bag and baggage Thursday. I am to take care of the farm animals until he can take them away, cows and all. Ellen & I went to Troy and got some furniture. Bought of S.N. Aspinwall, Troy, a number 8 Queen stove, price $30. $2 for a sink with it paid him $16 down and my note due Sept. 26th, 1866 for $16. Took down a firkin of butter, got 43 cents a pound for it, had 84 pounds and it came to $36.12. I also took down to the ville 3 bushels and almost 3 pecks of peaches, sold them out to the Sitezens for $2.00 per bushel, whole amount sold $7.40 cents, received pay by cash $6.40, took 3 firkins and a tub of butter to Maxwell & Leonards for L.L. Strait, bought of cabinet maker Olliver, 6 chairs $6, one common bed stead $3.25, one fall leaf table with casters $7, paid him cash in full, $16.25. Had a crystal and hand put in my watch, cost 50 cents (paid). Paid 5 cents for revenue stamp on note to S. Aspinwall, came back to Austinville, bought groceries to the amount of $8.35, charged. Bought at L.Leonards 5 pound cotton yarn 7 cents a yard & one telling shuttle, amount $4.50 (paid) at S.M. Leonards. Came home in the evening late, I took the things on up to my farm and took them in the house for the night. Julia has packed up all of her things ready for a start on the morrow. Elijah went to his farm with a load of things today, got back late this evening. Elijah & Julia staid all night at our folks. Father sold half bushel of peaches $1.00. Borrowed of Mother $12.00 cash. I pay John Knapp for moving Elijah. Let Wm. Smith have ½ bushel of peaches, price $1.00. Elijah & Julia moved away today to their new home, went early, they has two loads. John Knapp took one load, Elijah the other. Father went with our team and took Julia over as the cows, hogs, & poultry were left in our charge. We moved immediately, set up stove and done the chores. The A.M. after helping them off. This P.M. I have been busily engaged with wheel barrow bringing our things up, got about half moved today. The hogs and cows, & poultry left in our care, have 11 cows to milk, 8 pigs to feed, 9 geese, & a large number of chickens to see to. We set up a bed, this evening to sleep on and will stay here tonight. I finished binding up the corn. I cut the other day on the piece and cut it. We spent all the A.M. straightening up things. Drawed the corn and pumpkins from the field west of the house. Drew them into the garden. Father helped me and this P.M. drawed rails and fenced the west stack of hay. Drawed a lot of posts to set around the young apple trees to keep the cattle from browsing them off or breaking them down. This evening I went down to the ville with team. Ellen & Mary went with me, got a barrel of flour $9 (paid cash) of A. B. Austin, 8 ¾ pounds of cod fish at 11 cents a pound at Austins (charged) 90 cents. Bought of C.L. Strait two jars with covers $1.50 (paid). The weather has been and is very pleasant. Father got home late last night from Julias. Father sold 15 weathers to C. H. Card today for $64. C. Strait paid me 50 cents for taking his butter to Mazwells & Leonards Wednesday. I set posts around the smallest trees to protect them from the cattle. Turned the cows into the good feed and let them eat part of the day. Then drove them out for fear they might hurt themselves. I also hitched up the team and brought nearly all of my things from our folks to one load home. This P.M. I went to the ville to take up Elijahs notes and give mine in place at A.B. Austins. He was so busy he could not get time besides he had no revenue stamps. Bought of A.B. Austins one paper, carpet tacks & paper pins 10 cents (paid), bought for Father and had it charged to him ½ barrel of tobacco (shorts). Ellen was very busy today as usual. She mopped, made bread, pies and cake, tended to the milk, churned early this morning our first since it rained nearly all this P.M. It was clear all the A.M. It has been splendid weather for business, the past two weeks. Ellen & I went down to the ville to singing school this P.M. Henry Rexford & Charly Hulslander rode down with us from Benedict Mansion & Mary went also. Geo. H. & Daniel Smith came along and went down too. We had quite a pleasant time. I selected pieces for picnic and Geo. drilled us in singing them. The day was pleasant & warm. The picnic is to take place Wednesday. Father & Mother came up here to see us a little while this evening. This is the first they have visited us since we came here. I chored around, cut corn fodder, has to cut with sickle. Went to O.O. Besleys and borrowed his sickle. Bothering with hens and chickens, I did not get much done. Daniel & Elijah came just night, after the cows and hogs, he concluded not to hazard the lives of the hogs by taking them so far in a lumber wagon, so I bought them of him for $15 dollars a piece, or 30 dollars for the two. He keeps one for to winter over. Daniel & Elijah stayed at Benedict Mansion this evening. Ellen, Mary, Daniel & I went down tot he ville this evening to singing school, practicing for picnic. Mary took down her melodeon. Maria Peckhurg played on it. Ellen got 2 pounds of white sugar, 20 cents a pound, at Austins (paid). Daniel & Elijah were here, they did not get started away until 11 o-clock. He took part of his hens, grind stone, and other things. He also took away his cows, 6 in number. I now have five left. He took 29 pans & pails, butter bowl & ladle. They bothered me all the A.M. Ellen has been unwell today & this P.M. I have been doing work around the house, partly make rolling pin & potato masher. I turned Elijahs pig out of the pen this P.M. Raining this evening. Borrowed 6 pans of mother to put milk in. Today was rainey and real chilly. We gave up all idea of having a picnic until P.M. They sent word for us to come down & sing for them. As Ellen was quite unwell she concluded not to go. I went and sung base. The picnic was held in the school house because it was so stormy. Elder Brow delivered the address, twas done in his usual hum drum style, every thing else went off well. The tables were set in the temperance hall and were splendidly filled with the choicest viands. The house was emitted. There was enough for all. I took a half bushel of peaches to Debby Austin $1.00 (not paid). Bought of A.Budd one butter tub, price 65 cents (charged). Brought from home 3 pecks of peaches and we paired and fitted them for drying. Bought a paper of stove blacking 10 cents (paid). John Knapp came down and altered my pigs this A.M. I went down home & gathered 3 bushel of peaches. We have about 5 bushel gathered now for our own use, there is about 2 more yet to gather. This P.M. went with horses and wagon down home. Ellen went with me. I gathered what pumpkins remained in the fields, there had a little more than a load. Gathered the sweet corn, had a bushel, gathered ½ bushel of tomatoes, brought them home with me. I also got a peck of potatoes. Came up home, Father came with me & we gathered my pumpkins, had 4 wagon loads. They are nice & fair many large ones. Brought home with us one bushel of peaches, this makes 2 bushels we have had. The day was cold and showery. I went down to Fathers and gathered 3 bushels of peaches, there is about 2 bushels more to be gathered this P.M. I was engaged all the A.M. reaping sowed corn. John & Ira Knapp were here digging potatoes for Elijah until noon. I said he had a cow for sale, I and Geo. H. went up to look at her but did not buy her, she was 12 years old, price 45 dollars. Geo. H. was here nearly all the A.M., stayed to dinner. This P.M. I set up and bound corn fodder, finished cutting the piece & cradled a piece of buck wheat left by Elijah. I am feeding the horses corn fodder nights. I put them in the stable from the chill night air. Father came up this P.M. and husked put 4 or 5 bushels of Elijahs corn, then he helped John Knapp (who was alone) dig the potatoes. They just finished the piece by night. After cutting some wood & choring around part of the A.M. I harness team & went over to the butternut orchard and climbed & shook the trees and gathered butternuts. I have been thus engaged all the P.M. Elijah came here about 10, got his potatoes and bout 12 bushels, took his saw, drag, corn, pumpkins, & cc, was here to dinner, went away right after. All well at home. I gathered 9 bushel of butternuts, spread them to dry in the old school house. The first frost of the season occurred last night. This morning all was white with it. Every thing is out of the way so no harm is done, except to stop the growth of the fall feed. The day was warm & pleasant. Elijah left some chickens here for me to sell for him, also his geese if he did not sell them on his way home. Ellen & I went up home to Father Hulslanders this A.M. We took with us ½ bushel of peaches which gave to them. Mother H. is rather better than she has been, she was sitting up today. She has been confined to her bed 2 or 3 days. Father H. is gaining so to work a little. The rest of the family are well. The day was real pleasant & we had a real pleasant time. Got home in time to do our chores. Had Mothers carriage to ride in today. I got a half bushel of peaches from home this A.M. makes 2 ½ bushels I have had. I gathered butternuts this A.M. Got 4 bushels, gathered all the scattering trees in sugar bush. John Knapp informs me he has bought Elijahs geese for $5.50, he wants them picked right away. This P.M. I gathered up the corn fodder I had mowed down, it being dry enough, I cocked it up like hay & the remainder of the P.M. I helped Ellen as she has a great deal to do before going away, home, weaving her piece she intends starting tomorrow. The churning today will fill the tub, this is what we have make since we came here. We have another firkin down to Fathers, that is full of butter. I went with team this A.M. and took Ellen home where she is going to stay the remainder of this week, weaving her piece on her mothers loom. We found Mother H. much better. She was out picking her geese 25 in number. Father H. was home shoemaking. He was going to vote this P.M. he said. I left there, Geo. & Charly were on the hill digging potatoes. I left Father H’s about 10 A.M. came on tot he ville, voted the regular republican ticket. Stayed around talking with acquaintances until near night. Bought at A.B. Austins store blacking, 8 cents, cake shaving soap, 15 cents, paid for both, got both coal pockets full of ripe chestnuts today. My vote today consisted of 10 different tickets. Auditor gen.,John Hastranft, John M. Campbell, surveyor, state ticket, county ticket, for Senator, Geo. Landon, President Judge, F.B. Streeter, representatives Susp. Co. Lorenzo Grinnell of Wells, G. Wayne Himmey of Sheffer. As I was alone at home her, I had to do all the chores. Milked 6 cows, fed the two hogs, skimmed 3 pans, strained the milk, have 4 pans, morning and evening. I took breakfast down to Fathers. Emma Reynolds was there, came there last night, is staying today. Father and I dug potatoes today, commenced about 10 A.M. & quit time enough to pick them up and put them in a wagon box. The day warm & fair. Universals Association at Sylvania today & tomorrow. Father & I dug about 15 bushel of potatoes. Tis very lonesome, Ellen is away. I have been parring peaches this evening alone. It being rainey this A.M. and I had to do all the chores & churn I did not get out to digging potatoes until P.M. Mother came up and tended to the churning, she also got me some breakfast. Father & I dug enough of potatoes today to fill the wagon box. We then hitched the team to the wagon & brought it up to the house. We took into fathers cellar for their own use, 12 baskets, brought 9 baskets up here. I put 4 baskets in the old school house and put 5 baskets in hole to be covered. Emma Reynolds is at Fathers yet. I feel quite lonesome tonight. I have been parring peaches to dry. I went to Justus Watkins buying a corn house, this A.M. P.M I played, went a hunting with John Knapps gun, killed two black squirrels. About 3 P.M. Geo. H came along to look at cows, went along with him. I got a butter tub at A. Budds copper shop, 65 cents, charged. Father dug potatoes this P.M. This A.M. he took Emma Reynolds to Geo. Beslys and got one horse shoe set at Wm. Smiths shop 40 cents charged. Caught the fowls that we intend to sell tonight, put them in sleigh box for the morrow. The man from Troy comes for them. We got 22 ½ cents a pound. Took down 7 chickens from here and put in with own, they belonged to Elijah and weighed 26 pounds. Father & I drawed the corn fodder in the barn and also the remaining piece of corn. Got done, went to Benedict Mansion to dinner, twas 3 P.M. I came home after dinner and put pen around hay stack so I could turn cows into the barn lot at night. I got ready and went up to Father Hulslanders with team to bring Ellen home with me. Went to singing school there in the evening. Mother picked Elijahs geese, they are sold to John Knapp, he is to take them away immediately. Ellen & I came home this A.M., found Mary and father here doing our chores. Father was milking cows. Geo. H. & Charly H. had a small brush with Charly Card last night at singing school, at there school house, no body kilt but several wounded. Father & Mother H. had gone over to Julias visiting. I went to the ville this P.M. to singing school, not many out. Day cold & cloudy. Saw Aaron Havens go by this A.M. with new rig bound on a gold expedition, I expect. I went down home this A.M., turned over the flax & then dug potatoes until noon. Came home, took dinner, then went & dug potatoes & picked them up & put them in the wagon. Father helped me. Father informed me that what poultry he did sell came to $10.87 ½ cents. There was 87 pounds, at 12 ½ cents a pound. I do not know how many bushels of potatoes we dug. Father went to Troy with team today to sell his honey. I sent by him and got ½ pound of gamboge $1.00, one butter ladle 25 cents. I owe Father for the price of the ladle and one half the price of the gamboge, amount 75 cents. Sent by Father to Aspinwalls steamer and two kettle lids belonging with stove. I throwed stone out of the road from here up to the county line this A.M. P.M. dug 4 baskets of potatoes and put them in wagon. Mother was up here visiting this evening. I commenced to give the horses gum of gumbush in doses of ½ teaspoonful in their oats. I throwed the stone out of the road from here to O.O. Beslys line this A.M. P.M. dug potatoes. Father helped me, picked them up, partly filled wagon. Hitched up the team and drawed the load up here to be buried in my garden. Left 2 or 3 bushels on the ground. Tis raining this evening, has been cloudy all day. I dug potatoes today, Father helped, we filled the wagon box up and I took team and brought them home with me to be buried in my garden. The box was full and the bushel basket besides. I put in 5 baskets there & 5 in a hole. I calculate, will be all I shall want for a year. The day is cloudy & cold, some signs of rain. It rained all day today. I did not do much, fixed table and husked corn in the barn. Geo. H. was down here & spent the P.M. Twas a cold rainey day. Twas showery and very windy all day and quite cold. I unloaded the potatoes, dug a hole & put them in & covered them with corn to keep from freezing. This P.M. took the wagon over in the field and picked up what lay on the ground, put in the wagon, came home & went to husking corn. Husked until night. Mrs. Susan (Bateman) Monroe was here a little while, came a horse back. John Knapp chopped wood for Father at the door today. Father & I finished digging potatoes except 3 rows in another field this A.M. & this P.M. I picked them up. Brought them home with me and put them in hole. The day was real cold. Father informed me that he had paid my state & county tax some 12 or 15 cents. Had 15 or 18 bushels potatoes in to days load. Ellen went down to Benedict Mansion visiting this P.M. Mother is sick (unwell) today. Ellen & I stayed at home today. Father & Mother H. & Emma H. came to visit us today. They arrived before noon. They brought with them the piece Ellen has been weaving. Ellen wove 7 yards & Mother H. wove 4 yards for which Ellen is to pay Mother by spinning for her. 7 yards belong to Mother Benedict (of the piece). Father H. also brought Ellen a new pair of shoes (presented) he is to make me a new pair of boots for $5.00. I went up to John Knapps and ground my axe and helped John grind his to pay for helping me. This took all the A.M. & this P.M. I have been chopping 3 foot wood for C.L. Strait in my woods. I think I chopped enough for a cord but I did not pile it up. Tis hemlock wood. Ellen took 7 yards of the piece & half the cotton yarn to Mother today. Mother sent some 4 or 5 pounds of honey home by Ellen. I do not know what to allow them for it. The day was cloudy and rainey, the A.M. Clear & pleasant, the P.M. Churned today, I think this will fill our 2nd tub. I covered the three holes of potatoes with a light covering of dirt, which took all the A.M. I went to the ville with a load 3 feet hemlock wood for C.G. Strait, for which I charge him 2 ¼ dollars a cord. Took half cord to the load, have another load to draw him yet. Wm. Smith wants me to draw him a cord of 20 inch wood this week, I promised to. Got at copper shop, one butter tub, 65 cents (charged). Got at A.B. Austins one sack of salt 140 pounds $2.25 charged. Bought one dry good box 37 cents (paid). Got at Benedict Mansion ½ bushel of meal (Indian) & got one hen to kill. This makes two we have killed since we came here. Also got peck of peaches, my part of what remained on the trees. I went down to Benedict Mansion this morning and there heard that Father had been to Elmira yesterday & sold his honey. He is to take it to the Cross Roads, put it aboard the cars and he then has no further care of it. He uses the team today taking it to the cars. I spread out the stack of beans to dry and then thrashed them out. It took me all day. They were so wet and tough to thresh. Brought home with me 7 eggs from Fathers barn. The day was splendid. I went down to Fathers this morning, he had gone with load of honey to the Cross Roads. I cleaned up the barn floor, came home and got up some wood at the door. Then after dinner I went to chopping wood for Wm. Smith, chopped, split & piled one cord of hard maple wood this P.M. Brother Geo. H. was here to dinner, he has been down to the ville for some nails. This P.M., Father took away the last of the honey this P.M. & he has gone to Elmira on this P.M. train. Mother went down with him to the Cross Roads & brought the team home. It has been a very pleasant day, warm, tis rainey this evening. I have used ½ bushel poor corn. It rained all day at intervals. I husked corn the A.M. & this P.M. I drawed a cord of wood (hard maple) to Wm. Smith for which I charge him $2.00. This evening I went down to the Columbia Cross Roads after Father. He came in from Elmira on the 6 P.M. train. Ellen has been spinning wool for Mother H. In the evening she went down to Benedict Mansion and stayed until I came home. Father sold & delivered 1226 pounds of honey at Elmira. I have not yet learned the price he got. Een & I went to Troy with a firkin and two tubs of butter today. Twas very muddy & wet, rained going down & coming back. We got 50 cents a pound for the tub butter but could get only 40 cents offer for firkin, so we brought it home again. There was a great rush of butter today and the prices were lower prices, ruled from 45 to 50 for tub & 35 to 45 for firkin butter. My tubs weighed pounds butter, 40 to 43 whole amount 85 pounds, got $41.50 cash. Sold to H. Leonard, bought at Aspinwalls school 20 cents pair tongs 50 cents give 30 cents peppermill 60 & pair of steelyards $1.00 (paid). Bought of S.M. Leonard yard of ladies cloth $2.25, 3 embroidery braids 37 ½ cents, belt buckle 75 cents, pair of ladies cotton gloves 44 cents (paid). Bought of Reddington 2 oz. Of tarturic acid 25 cents & bottle of spaldings glue 25 cents (paid). We got home in good season. Ellen & I went up to Father Hulslanders this A.M., stayed all day, came home in the evening. Father had made a pair of kip skin boots for me, price $5.00. I brought them home. I offered him pay for them but he would not take it now, said I might use it a while yet. Ellen Mother gave her a tub of soft soap, we brought that home. I took up to them a bushel & ½ or 2 bushel of butternuts for them to crack, gave them. The day was cold & windy. I reckoned interest for Father H. on a land contract & cut Totties hair. I went down to Benedict Mansion this A.M. & dug 3 rows of potatoes "chillies" which finishes for this year. There was only a half bushel. I left them at the Mansion. Father went up & helped John Knapp husk corn to pay for chopping wood for him a few days ago. I worked until noon at the mansion getting out stuff for a milk rack to be set in the kitchen as it is now to cold to have it in the cellar. We keep it in the butler now but tis so far from the fire tis to cold. Sent by Mother & Mary to the village & got a skein of thread, set of knitting needles & darning needle, price of all 14 cents, we owe Mary for it. I chopped rail cubes this P.M., cut down two large hemlocks, cut up one, the other I did not. I drawed up a load of wood at the door and was intending to draw rails and fix fence above the road towards Co. line but it rained so I had to give it up. Rained all A.M. Father came up and we husked out all the corn in the barn & got done about middle P.M. We then went down to Benedict Mansion and cleaned up the beans on the barn floor, had nearly 5 bushels, did not get them clean, they were so damp. Cleaned up them peas also had three pecks. It did not rain this P.M. I harness team and took Elijahs corn and put it in the crib to Benedict Mansion. He had 32 baskets, beside seed corn, a basket & ½. The day was nice & warm. I brought the beans home with me and spread them on the floor up stairs today, brought from the Mansion 6 eggs also. Drawed a couple drags of wood for Father at his door, brought home with me 8 ½ baskets of corn to feed to my hogs. O. also brought a bushel basket of cabbage heads and put them in cellar. Brought two bushels of oats from Benedict Mansion for my horses. I harnessed team and drawed the fence below the road along the wall on upper side to make that good. I find I have no stakes so I can not finish putting the fenced up until I split some. I went down to the ville, got a prop of iron wedges, borrowed them of A.B. Austin. Got at A.B. Austins store one pound of coffee, 35 cents, one pound of starch 16 cents, amount 51 cents, charged. Today was very like spring, warm but cloudy. This P.M. staked fence over wall up towards line with A.B. Austin, did not finish because I had not stakes sufficient. I went out to split stakes and rails this A.M. First I went to the woods and got an Iron wood for a beetle, but on looking at the old one I conclude to make it do today. Made some wooden wedges and split 60 stakes this A.M. P.M. broke handle to beetle after splitting 9 rails and 10 stakes, so I had to go at chopping stake cults & & kept at it until night. Then Father came up here after basket. I went up to John Knapp and got my gun this evening. Paid John $2.50 for it to be paid to Ira Knapp. Ellen has been very busy today, she packed a churning in the new tub today, done her ironing also. I have been engaged making new rolling pin this evening, haven’t finished it. I went down to Benedict Mansion, took up flax, looked like rain, came & got team & brought flax & stored it in my barn. Father came with me and we drawed into barn the corn standing in garden, just got it all in, commenced to rain & continued rest of day. Geo. H. came this P.M., stayed the evening. He went to ville a little while. Donna Smiths is visiting Mary. Mariette Haven & Mary Monroe came here this evening, through rain, came afoot & across. I went to Benedict Mansion this evening. Elder Whitney was there. I got our "feather" bed and came home. Set it up. I was busy this evening making new rolling pin and beetle. This evening played on the violin. Geo., Mary & Mariette stayed all night with us. Geo. went home about noon. Mary & Mariette left at 4 P.M. Had a real pleasant time. It stopped raining last night & this morning the hills looked white with snow, but none here. Day cold & blustering, tis freezing tonight. Ellen is reading this evening while I am writing. Mary Heller was married to Charles H. Card today at Benedict Mansion by the Rev. Hallan E. Whitney. I finished the milk rack we were making and set it up by the fire. Ellen strained and set this mornings milk on the rack, I then cut some wood at door and then went to the woods east and split one large cut & make 106 stacks this A.M., and this P.M. I did not go out until late but I split 180 more stacks. The P.M. was very cloudy & dark, the horses gave me the slip tonight, so I let them lay out and twas freezing all night. Went down to Benedict Mansion and took care of the cabbage, buried 23, put 25 in fathers cellar and brought home 15 on the wheel borrow. This P.M. Ellen & I went down again, Ellen got her dried berries home, bought of Mother 4 ¾ pounds dried apples worth $3.00 a bushel, dug the beets, had about a bushel, brought part of them home. Lin & Emma came here just before sundown. This evening Ellen, Lin & Emma & I went down to Benedict Mansion and got our poultry, got 22 hens & one rooster, a gobbler & hen turkey, got also a paw full of hive honey, worth 20 cents a pound. I do not know the number of pounds. Elijah has 11 chickens here. Ellen has been baking today. I split between fifth & sixty rails this P.M., they were hemlock & cherry. Lin & Emma went home about noon, I had so many chores to do that I did not get to work before noon. We churned this A.M. I put the cows in the stable this evening, it promised to be so cold, this is the first time I have put them up, but I had no trouble. Ellen & I went up to Mansfields meeting house this evening to singing school, had pretty dull time, the boys were preparing to horn Elder Mansfield tonight, he had got his bride home and were having the family at his house. John Knapp came down and ploughed all day for me, he came at half past 8, brought side hill plow, ploughed to pay us for helping him plant corn last spring. This A.M. I took away fence along the road where ploughing and cut the briars out of Johns way & this P.M. I drawed a couple loads of broken rails for wood and then went to the ville, got a new shoe put on Nellie at Wm. Smiths shop, 50 cents (charged), got at A.B. Austins store ¼ pound powder, 15 cents a box, cost 8 cents & 2 pounds shot, 40 cents, amount $.63 (charged). Ellen is making her opera sack. I went down and drawed wood at the door for Father, drawed with sleigh some, Father has been chopping. I was there all day. The day was cloudy and a keen snow air. Drawed 7 loads wood. Mother gave me 3 tin pans to use next summer. Ellen sent by me and got her jelly home. Ellen has been washing today and is very tired tonight. I plowed until 3 P.M., did not commence until late. I make out about half a day, ploughed above the road where John Knapp did. Made out about an acre. This P.M. Ellen and I went down to the ville and traded at A.B. Austins store to the amount of $7.85 (paid cash). Articles got 16 yards calico at 25 cents a yard, $4.00, one gallon kerosene oil 90 cents, cotton batten 83 cents, table linen 1 ¾ yards, $1.75, one paper needles 8 cents, whiplash 31 cents. The day was very pleasant but still a keen air. I put the cows in the stable this evening. I went a horseback up to Elder Whitneys’s to look at his pig, it was not suitable for breeding purposes, so I did not buy it. I got home just chore time. Father and Mother were up here this evening. Ellen stayed here alone while I was gone. The day was very pleasant. We got up early this morning, had breakfast by candle light. 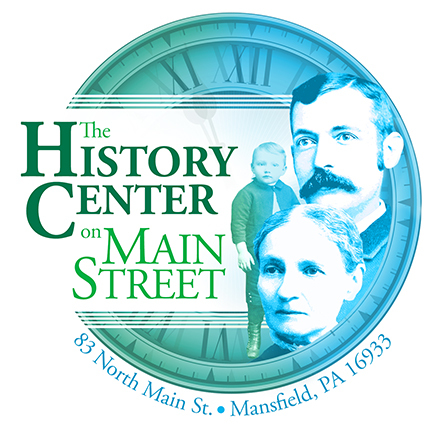 While eating, Julius Adaims and a Mrs. Newberry came in, they were on their way to Mansfield. Something broke about the wagon and threw them to the ground, but did not injure them much. Though the lady was under the wagon, on the wagon bottom side up over her at one time. She was not hurt much. I lent them my democrat wagon and they went on their way rejoicing. I ploughed a little over half a day today on the side hill above the barn. Twas cool, the team stood it well. Ellen washed. I plowed about two hours this A.M. and about the same this P.M. Mr. Orin Ames was here this A.M. on his way home, he brought news on the death of Luther Ames, his brother, he had been to his funeral. Father worked up to John Knapps all day on his hog pen. This evening went to the ville on horseback, got at C.L. Straits, ½ pounds madder, 30 cents a pound= 45 cents and one once indigo 15 cents amount 60 cents paid. I ploughed down to fathers, below the road on the flat, a little in the A.M. I came up for dinner, Mrs. John Monroe and Mother Hulslander, they staid to dinner, they left a pair of shoes at the store (forgot them) and I went and got them for them. Mother Huslander got at store 9 yards calico, 28 cents a yard and presented it to Ellen for bed quilt lining. They did not stay long after dinner. I ploughed about half the P.M., did not finish down home. The day was very warm and clear. Father I went to Kiffs mill, Sylvania, to set out some logs from the race belonging to Elder Whitney but concluding not to by them then we went on up to the Elders and thought to buy his hog but it was sold when we got there. I bought a duck, price 37 cents (paid) of his little boy. Father got a grape vine to replace one that had died. We came on up to Austinville & I bought at cider mill of P.W. Besly 3 bushels of apples 40 cents a bushel amount $1.20 (paid), got home middle P.M., did not do anything more this day. Bought of John Knapp on drake paid 37 cents brought home to mate the other. Mother came this P.M. & helped Ellen quilt her comforter. The day like summer. Darwin Besly brought me a turkey this evening, I am to pay him 75 cents for it. There was 14 pieces of plank left at Kiffs mill out of 22 pieces this spring. Father came and got the team just as I was fixing to go to plough. Father & Mother went over to Elijahs to stay until Sunday. The day was very warm and like summer. I bothered with the sheep all the A.M., set them run in fathers lot. Ellen has been quilting all day. Today very pleasant, some cloudy, rained a little last night. I split 25 rails and a few stakes, then Frank Baker came & I paid him up for the 6 bushel of rye I got some time ago, paid him $7 today and 2 dollars when bought. Borrowed of Elijah, one bushel of corn to feed to hogs. Paid Frank Baker $7 dollars for rye today, settled the account. I split stakes a part of the A.M. and a part of the P.M., the latter part of this P.M. I have been chopping wood, chopped about ¾ cord hard wood. The day was warm and cloudy. Ellen got her quilt off this P.M. It seems very lonesome, the team gone away & no stir down to fathers. I went up to John Knapps and ground my axe this morning. I turned the sheep into fathers side hill lot, they bother me so about going out McDoles wheat. Ellen’s quilt cost her out $4.21, 14 yards calico 25 cents a yard, $3.50 batten 63 cents & thread 8 cents. We arose this morning and twas raining and by the appearance it had rained all night. About noon Geo. H. came down here and stayed until evening & we had a real pleasant visit. I borrowed ½ bushel of ears corn to feed hogs this A.M. of Elijah. The day was rainey and dark, we did not go any where. Ellen being quite sick I did not get out to work this A.M. but went down to the ville and got a pound of salt at A.B. Austins, price 13 cents (charged) got hand lamp at C.L. Straits price 88 cents (charged). I have been chopping wood in the woods, chopped about a cord this P.M. Tis maple and beech & green. Ellen has been much better this P.M. Father & mother came back from Elijahs about noon. They report all well there when they left. The day has been real gloomy, thick clouds obscure the sky and it looks as though twould snow before tomorrow. John Knapp and wife went to Troy today, took 3 tubs butter. As it rained all day, I did nothing out of doors. I husked corn all day in the barn, did not quite finish. I missed the drake today, he is not to be found, he is either caught, gone to John Knapp or stolen. I went down to fathers just night and brought team home with me and a two bushel bag of oats for horses. Borrowed ½ bushel corn off Elijah pile. I owe him 6 bushels now. This P.M. it has snowed a little and this evening the ground looks white. Charly H. & Ed Rexford called here on their way home from the ville. I went up to Father Hulslanders and helped them thresh barley. We finished the barley, threshed at the lower barn. I took up my team and used them part of the time & theirs the rest. We did not run the barley through the 2nd time, twas just night when we got down. I think they will have 150 bushels barley. It snowed all day and the horses slipped very much. The snow is about 4 inches deep tonight. I came home after dark and done the chores, put the cows in the stanchions. Ellen had done the chores and had spun 25 knots of woolen yarn. I went into the woods and split and piled wood this A.M. Did not get the chores done until near noon. I had so many to do, I piled up 1 ¼ cords of wood. Twas all covered with snow, very bad to handle. This P.M. I intended to draw some wood to Wm. Smith at the ville & some at the door but George Besly came and must have me go with him to look at some timber in Batemans woods and I co8uld not do anything more as it was night when we got home. I borrowed John Knapps wagon, came home & Geo. helped me get one wagon load out of the woods. I then done the chores, I did not milk tonight. It snowed all the P.M., it thawed as fast as it came. Snow is about 6 inches deep on the hills around but none in the road. It is just one year ago today since Ellen and I were married. The past has been one of deep pleasure to me. I went down to the ville with a load of hard wood for Wm. Smith this A.M., a ½ cord, took another ½ cord to him this P.M. Was down all the P.M. I got 4 13/16 pounds of tallow at A.B. Austins store, 15 cents a pound, amount 72 cents & one slate, 20 cents charged. Took Ellen’s Bonnet to Mrs. Smiths, got black plume put on & done over, cost $2.25 (paid 75 cents) amount charged $1.50, also bought at A.B. Austins ¼ pound cream tartar, 18 cents & ounce of Indigo 15 cents (both paid). Day warm, snow still hung on. Ellen finished spinning her mothers rolls today. I went down to fathers and finished ploughing there for this fall unless I break up some, got done about 4 P.M. The hounds were out after foxes briskly all day and a large number of hunters, several shots were fired but so far as I learned, with little effect. I drawed up a load of wood at the door after done ploughing. I also brought home our lounge from fathers. Today was warm and pleasant. The snow thawed off a good deal. Killed two of Elijahs chickens this evening in an anticipation of visitors tomorrow. Ellen & I have been at home all day in anticipation of visitors but none have come. The day has been warm and pleasant. I have been studying algebra, while Ellen read stories in her lady book. Thus passed the day pleasantly. We had chicken for dinner which was at 4 P.M. I only milk the cows once a day now. I went to fathers, got the plough and lounge. I went to ploughing where Elijah had potatoes, ploughed that and half of the piece where grew corn. I went down early this morning to the black smith shop (Wm. Smith) and got a shoe set, 20 cents (charged). We had several snow squalls today. The weather is getting colder. I got the corn piece ploughed by noon. Twas quite cold. The ground frozen a considerable I should have finished much but the plough handle was broken. Had to be fixed and a cockeye broke that delayed me. Just noon a Mr. Walcott from Springfield came and wanted to buy my pigs, he offered me 16 cents a pound dressed, I did not accept his offer but I hitched team to democrat wagon and went to the ville to learn the price of hogs. I learned that 16 cents was the going price at Troy. Bought of A.B. Austin 30 pounds of nails 10 cents a pound, $3.00 charged, bought bunch linen thread, 10 cents Paid, one yard elastic cord 5 cents paid. Got a shoe corked and set 25 cents at Wm. Smiths shop charged. John Knapp and father helped me kill hogs today. Got done about 3 P.M. Drove the two father had down home up here & killed the largest and my two. I am to keep the smallest until New Years, before killing. Mother was up and helped Ellen while we killed. The day was cloudy & cold. Darwin Herding called here a few moments just as we got through butchering. His folks were well. John Knapp wants 8 or 10 pounds pork fresh. O.O. Besly came here this morning and got a fore quarter of the pig we intend keeping for our own use. He got it from fathers half. I hitched up team and took father the remainder of his half. I got a pan of meal to feed (pig of mother). I also got 2 bushel of ears corn brought home to shell to take to mill tomorrow, I shelled the corn this evening. Fathers half of hog weighed 89 pounds. I haven’t weighed my half yet. I drawed some wood this P.M. at door, and about 1 P.M. Henry Schwenk came and got one hole of potatoes, 13 bushels, got for A.B. Austin. He allows us 75 cents a bushel, amount $9.75, half goes to father. John Knapp came this evening and borrowed until he kills, 5½ pounds fresh pork. Sawed the firkin into and made two tubs of it. Took mother half. Ellen took out the butter from out half and worked it over & fixed to send away to market. I made a cover. We now have to tubs to sell and have 15 pounds for winter use. I got John Knapps wagon and went to Troy. Took two hogs, two tubs of butter and a bushel of new corn to mill for my self, a half bushel of corn for father and one tub of butter for mother, which weighed 52-11-41 pounds and one of ours weighed 51-11-40 pounds, we got 38 cents a pound for the other tub, we got 35 cents, weighed 50-12-38 pounds. The 3 tubs amounted to $44.08 received cash. I sold one hog, it weighed 219 pounds, sold at 14 cents a pound, came to $30.66, received cash. I concluded not to sell both at the price, so I brought it home, sold the largest. I bought at harness shop a pair of martingales $1.50, (paid) , spent treating cigars 25 cents and 5 cents for nailing on shoe at Blacksmith shop. Business never was so dull in Troy as today. Prices of everything is falling rapidly and no one wants to buy. I got home after dark, got my grist & arrived home sound, but nearly frozen. Twas a bitter cold day. Ellen staid at home alone all day. I paid mother her butter money, $15.60. I got a barrel for pork at A. Budds shop, price $2.00 charged. I did not get up early this A.M. so I chored around until noon. I took John Knapps wagon home and drawed a load of wood at the door, cut sleigh length this P.M. I have been cutting wood, cut up the pork and packed it in the new barrel. The barrel is quite full, saved out lean pieces fresh, 7 1/2 pounds besides 3 ribs and a piece saved out for father Hulslander. The day has been quite warm and is thawing. People can plough yet. The ground is not frozen yet. Ellen finished her jacket today, tis a gay affair. Father sent for the Philadelphia Inquire last week for four months, he paid one dollar for me, I owe him for it yet. My father, mother, Ellen & I went up to Father Hulslanders today, had a real pleasant visit. The day was warm & thawing, we came home in the evening, found all right. Geo. & Charlott Besly had been here, they left notice on my slate that they wouldn’t come again unless we staid at home. This is the second attempt they have made to find us home but unsuccessful. I ploughed the west corn stubble, did not get at it very early, and made out to finish by night. The piece contains one acre. The day was warm but cloudy. Ellen washed today. Father & I went to Elder H.E. Whitneys venue were there all day. I was clerk for the Elder, took down the articles sold, price and to whom sold. The sale amounted to about $100, and was his farming implements and some old truck in the house I bought. 8 tin pans for $1.50 (paid cash) they were 5-8 quart &3-5 quart pans. I did not charge the Elder anything for my days work. We got a good dinner there. Mr. Brink was auctioneer. His cows run up one to 63 & one to 43 dollars, but were bid in. Ellen staid here all alone all day. I cleaned out the shop and then finished husking out Elijahs corn, father helped me all day. I harness team and took the corn down to fathers and put it in the crib. We had one load of corn down to fathers and put it in the crib. We had one load of corn about 15 bushels. The rats had made bad work among it, having eaten about one third. I intend to go to work on the house tomorrow, if nothing happens. We got up very early and went up to Mr. Styns to see if I could not hire some money for to pay Elijah, but he had none on hand, so we went on up to Father Hulslanders and staid until night. It snowed all day. Daniel Benedict has come out and he and Father Hulslander were to Troy today so we did not see them until on our way home. We came home by way of the ville. The day was very cold and blustering and coming home Ellen got chilled very much. Geo. H. came with us when we got to the ville. Ellen had a fainting fit and I took her into Debbys and we stayed there all night. Geo. H. came home with team and done my chores. I bought a clock of A.B. Austin, a clock (charged) price $5. Ellen bought ½ pound reasons 26 cents a pound and an oz. Of cloves 6 cents a pound and an oz. (paid). I did not have any money today. Ellen was unwell today. I got up early this morning and came home and one the chores. Took team & cutter went after Ellen, brought her home. She was not well but so much better that we ventured to bring her out or home. She has been around all day but is quite unwell. I went to the ville and took team to get them shod. Smiths shop being full I went to John Gustins, had 6 new shoes put on $2.50 charged. Daniel Benedict staid to fathers last night & went to ville with father & I this A.M. He traded, & he and I came home to dinner. Daniel went home 3 P.M., took about 15 bushels of Elijahs corn. Daniel is here with wagon. Father staid and got horses from shop. The snow is about 3 inches deep and tis froze very hard so the sleigh slips quite well. Martha Smith & her man were at fathers visiting today so father & mother said, while up here this evening. I let Daniel have 7 cabbage heads today & he spoke for 2 bushels of butternuts. I helped Ellen around the house until noon, Ellen was not so well today, could not go out but managed to do the work in the house. This P.M. I harness the team, hitched to the cutter and went to Wolf Hollow to hire some money, father went with me because I was not acquainted. Not succeeding there we came back to M. Watkins and succeeded in getting what I wanted, at $.085 per cent. We got $300, gave my note dated Dec. 9th, 1865 for $325.50 without interest, due Dec. 9th, 1866. My father signed the note with me. I had to put 15 cents revenue stamp on the note. I bought of V.L. Strait, one box of paper collars 40 cents (charged). The weather was very cold, the sleigh slops real well. I sent by Milton Sweet nine dollars to James Benedict for Elijah Hulslander to pay for firkins, Elijah got of James. Mother, Ellen & I went with horses and sleigh over to Julias. Started about half past 10 A.M. and got there at 3 P.M. The sleighing was poor, part of the way bare ground. We found the folks all quite well. The little girl is 5 days old and smart as a cricket. We went by way of Mansfield. The day being thawed the snow threatened to leave us. We met Las Benedicts folks coming home while on our way there. We had been there about an hour when Geo. & Charly, Lin & Miss Eugenie Backer came, they came to bring Geo., who is going to board with Daniel and go to his school. Daniel, Elijah, Geo., Charly & I took a stroll to view the farm after supper, which took until after dark. The boys farm lays well & is in good trim for ploughing, then is over 200 acres cleared. The soil appears good and everything appears good, favorable, and if they have their health and take proper advantage of all on the place they can make their payments meet. Mother took Elijah 4 heads of cabbage. I paid Elijah Hulslander $300, three hundred dollars, this morning to apply on the farm I bought of him Sept. 26, 1865. Settled with him and found yet his due up to this date including balance on farm, two hogs & 11 chickens $191.58. I allowed $3, for the chickens. I took a receipt of Elijah for the $300. I paid him. Mother yielded to their earnest entreats and is to stay this week. Ellen & I came away early as the prospect were that we should loose all of our sleighing before night. Daniel had gone to commence school in the school house in sight. Elijah and Geo. were going to buy 3 cows or try to, when we came away. We arrived home at 2 p.M., got dinner & then went down to Mial Watkins to see about hiring some money $200. For Elijah. I succeeded in getting the promise of $200 for one year, at .08 ½ per cent. Henry Schwenk came for A.B. Austin and got 17 bushels of potatoes today. This is all we are going to let him have. It makes 30 bushels in all that we have let him have at $75 cents a bushel, amount of whole let him have $22.50, one half is to be credited to father, amount $11.25. Settled with Burly for tubs and barrel, found his dues $3.95 cents, paid him cash $3.95. I chopped wood at the door and plained siding for the house, fixed to bank the house, and chored around the barn, nailed on some loose boards and also on cutter. Went down to fathers and got two bushels of oats for horses, finding that the horses are loosing flesh of present feed, I have resolved to double the feed, give them 8 or 10 quarts of oats a day from this date. Today has been very warm, the ground has all or nearly all thawed up. Father tells one he is so lame with rheumatism that he can hardly get up alone. He also says that Mary has gone up to Mr. Cards for the rest of the week. Justice Watkins called for me to help him tomorrow, threshers were coming. Father came up here this morning to breakfast, he says he is still more lame so bad that he could hardly get here. I went up to Justice Watkins and helped him thresh all day. Mr. Besly had his machine there, we threshed 43 bushel of buckwheat and 120 bushel of oats today. The day was very cold. Father got much better so he went down home and done the chores and is staying there all night, because he does not want to leave the house alone. I took Justice one bag belonging to P. Hulslander to use while threshing. Ellen is making me a woolen shirt this evening. She has worked over the butter & packed it in a tub and has it half full. Justice is to help me chop wood or anything else I want for helping him thresh, he wants me tomorrow & next day if it takes so long to get through. I have been helping Justice Watkins thresh all day, threshed 216 bushels oats. The weather has been very cold, and this evening tis froze as solid as a rock. Father is very much better, he stays at home every night to take care of the house. This evening John Knapp came down here and borrowed 15 ½ pounds of flour (pail and all) (pail weighs 2 pounds) he borrowed also 7 pounds of new salt pork. Ellen washed today. I helped Justice Watkins thresh this A.M. and finishing by noon, Besly moved his machine to John Knapps and I helped there this P.M. Justice Watkins had 433 bushels of oats. We threshed John Knapps wheat this P.M., he had 48 bushels. The day was very cold. Father comes here to breakfast every morning. He is getting better of his lameness. There is a singing school at the ville this evening but as I got home so late from John Knapps and did not get my chores done until late, I did not go down to it. I helped John Knapp thresh all day. I cut hands and got pretty badly stopped up with dust. We make out to thresh 258 bushels of oats today. The weather still continues cold. John Knapp returned the 10 bushels of oats borrowed of us early this fall. The weather is moderate a little. My potatoes have frozen in the cellar this cold snap. Father informed me this morning that congress was contemplating giving the three year soldiers as large bounties as the latest soldiers, which is estimated at 500 dollars, besides a land warrant for 160 acres. Geo. Besly & wife were here visiting this P.M. We had a real pleasant time. Geo. has a new buggy which cost him to get made 140 dollars. A new harness (silver plated) & drives right up in style. The day has been cold but still warmer than yesterday. It seems to be moderating. Mother has not come home from Elijahs as we expected today and we feel a little worried about them there. I went up and helped John Knapp finish threshing, which we did at a little past noon. He had 48 bushel of wheat 420 bushels of oats. The weather has moderated a great deal. Tis quite warm today and the thrashing machine run like a top, threshed this A.M. 160 bushel of oats. I got 2 bushel of ears corn to fathers today. John Knapp owes me ½ day on thrashing yet and I owe him ½ day on killing hogs. Ellen and I went down to fathers visiting this evening. Ellen got of tin pedlar one butter dish, 60 cents and one pint basin, 10 cents, paid cash for them. I went down to fathers and got the flooring for our kitchen this A.M. and this P.M. I make new corner boards for the house where we are going to new side it. The weather has so much moderated that it thawed the hubs so they run down smooth. I got 22 boards 16 feet long and 10 inches wide besides 3 boards 14 feet long & 10 inches wide. I have not paid father for them yet. He paid $20 a thousand, I presume I must pay as much. I put on corner boards to house and took off siding from house. About noon Elijah came and brought mother home, he wanted me to go with him to Mial Watkins to get some money for him. He wanted $200.00 to help make out his first payment on his farm. I went with him but we could not get it of Mial unless father would sign the note with Elijah, so we came home without it. I drawed up a note of $191.58 and gave Elijah, dated Dec. 11, 1865 and payable one year from date. This makes Elijah & I square on the land, when tis paid. I had to put a 10 cents stamp on the note, I gave Elijah. Bought of A.B. Austin 2 pounds coffee sugar 20 cents a pound, amount 40 cents, two iron bolts 5 cents, whole amount 70 cents paid. Elijah stay all night with me. This evening Charly H. and Dan, Dolly, Lin and Eugenie Backer came here and stayed until after midnight because it stormed so & snow fell about 3 inches by midnight. Father H. came here this morning and he & Elijah stayed & were trading horses all day. Father H. went away about 2 P.M., home he gave Elijah old Black and $100 for his team. Elijah went to the ville then and got old Black shod. This evening I went with him to Mial Watkins and got the $200 dollars he required. Father B. signed note with Elijah for 217 dollars due one year from this date. This was the most blustering day we has this year. The new fallen snow filled the air all the while. Sold Elijah half bushel of flax seed, price $1.00 not paid. I gave Elijah 1 ½ bushel butternuts, the same amount to Daniel B., sent by Elijah. He also took his cutter and barley home. Gave Elijah one spare rib and some beets. He gave his dog Joe to Ellen. The day was very cold. I helped John Knapp all day killing hogs. He had 4 and two were so large we could not scald them in his barrel, so we done it by spreading cloths over and pouring hot water upon, did not get done until after dark. Had a real tedious time. Darwin Hardin helped him too. John gave me the pluck from one of his largest hogs. His largest hog will weigh 450, nest 400. I went down to fathers and got a bushel of corn (ears), 4 bushel of oats for team, got some milch for pig, mother saves. Drawed two loads of wood for father before I came home. Moses Ayres came there & got of father 21 pounds of honey. Brought cows from fathers and put them in my stable tonight. The three yearlings also. This makes an addition of 6 head to my flock. Father helped me draw two loads of wood at my door this P.M. & then helped me get the cows and yearling in the stable. The day was very pleasant. John Knapp took his hogs down to the ville to weigh them and divide with Gustus. Ellen has been washing my dirty clothes, the ones I used killing hogs yesterday. This is a splendid moonlight evening. Ellen & I stayed at home alone all day. Father and Mother were up here visiting this evening, father came up to help me put the cattle in the stanchion. The day was very blustering, wind South west with a little snow. Father let me have this evening the $50 dollars we got for the colts, to pay the half of horse note, due Jan. 1st, 1866. $25 of money for colts belong to me, $25 belongs to father. He lets me have it to use for the present. Mother gave me a pair of woolen gloves. Today is Christmas, Father & Mother have gone up to H.B. Cards to eat turkey, Mate & Charly went up yesterday. Ellen & I stayed at home today and had our own Christmas. Geo. H. was here a little while this A.M., he reports all well & that his father & mother & Lottie & Emma have gone over to Daniels & Elijahs to spend Christmas. He also reports that Mrs. H.B. Card had a little baby Saturday. Geo. H. went home before noon. John Knapp & wife went to her folks this morning with sleigh so Justice Watkins did also and this evening they had to drag home on bare ground. Father & Mother wait with carriage, there was quite sleighing this morning but none this evening. Ellen & I went down to fathers and done chores this evening as they have not come home. John Knapp brought the fresh meat we let him have and 2 pounds extra, brought 14 ½ pounds, he had 12 ½ pounds. Our Christmas dinner consisted of Potatoes (mashed), biscuit & butter, custard pie, fruit cake, stirred cake, cookies, coffee, pickles (butter) and fresh pork all served up in good style. We enjoyed it finely. Ellen got the wheel around to spin out, I stayed in the house and bothered her so she did not spin much. I planned flooring this A.M., for my kitchen floor, got out 10-16 feet boards, 10 inches wide. This P.M. John Knapp came along going to Troy to mill, I sent a bushel of corn by him to get ground. As father was going down with him I thought to send money by him to pay the house note, held by Elizar Pomeroy due Jan. 1st. I had to go to the ville to see father who was there getting some work done at blacksmith shop (Wm Smiths) has hammer strap mended on cutter and bolts to sleigh made, charged 25 cents. Father went down to Troy but did not see Pomeroy so he did not pay the note. I came home and went up Justice Watkins to get them to come and chop wood for me, they promise to come Thursday. I came home and twas night. John Knapp did not come home this evening. Father came home with Earle Sherman. The day has been very warm, the snow has nearly all gone, the ground is all thawed out. Ellen finished spinning stocking yarn today. I harness team and drawed to the house a stick of timber for piecing of sill, it having all rotted away under the doors, we have to put in new. We (father & I) framed the piece and put it in and put on new base board. Was thus engaged all day. It has been warm like spring, the ground is all thawed out. John Knapp got home middle P.M. Got my corn ground, he charged me nothing for the accommodation. Tis so warm I leave the cows out doors tonight. The stack of hay I am feeding out is good for nothing, tis so musty the cattle will not eat it much. Worked on the house today, father helped me all day. We planned siding, put in some new studs, make saw horses and fixed things so we could work to advantage. Justice Watkins chopped wood for me this A.M. Twas snowing most all the A.M. but did not this P.M. There is not much snow fell. We put the cows in stable this evening. Made out to get the yearlings in also. Justice and I are to get the wood for stump machine to be built by father. Ogden has already got the irons made. Father helped me all day, I got out a new window frame for front window. Father got out siding and this P.M. we put on the first new siding. Justice and Jimmie Niffire chopped a hard maple wood for me all day. Twas a real knurled tough piece and they have not got out more than two cords for both. Marriette Havens called here on her way home this A.M. She came a foot and came back again about night. The stack of hay that I supposed spoiled entirely is growing better as I go towards the bottom, and I feel quite encouraged about it. Ellen has her hands full doing house work and sewing. We moved the bed in by the stove last night. Daniel Benedict and Lady came here last night and at 11 P.M., came with horse and wagon, we were to bed. They are here today. Daniel & I went to Troy with horses and carriage. Father went tot Troy also with us for a Mrs. Knapp to certify to her marriage so she could procure bounty. Daniel went down to deposit $500 dollars to the account of H.H. Dent, first payment on farm. I went to pay first installment on house note against Father for 165 dollars. Paid $86.06, it being $82.50 on interest 8 months & 19 days. Paid to Elezar Pomeroy at Troy. Bought at Pams foundry 5 lengths common 6 inch pipe and 2 elbows to match. Pipe cost 15 cents a pound, elbows 45 cents a piece, whole cost $3.20 (paid), 2 Oz. Tartaric aced 25 cents (paid), 1 Oz. Cochineal 15 cents (paid), Oz. Bichrome potash 5 cents paid, Oz. Extract of logwood 5 cents paid, 1 1/3 yards wool delane 80 cents charged at A.B. Austin. Bought at Book store, cook book for Ellen, Price $2.00 (paid), Dr. Dadds house doctor $1.25 Paid, one bottle orricks vermifuge 25 cents paid. It snowed all day but not fast so it only fell 3 inches deep but the hubs are so sharp that this very rough going. Daniel & Mary are staying with us tonight. They having make an ineffectual attempt to go up across by McDoles. Tis a beautiful evening. We all got up early this morning, done chores & went up to father H’s. Daniel went ahead with his horse and wagon while I went after wards with horses and sleigh and took Ellen & Mary (Daniel) with me. Ellen & I stayed to meeting this evening at the Hulslander house. Elder Hopkins presided. We had a very pleasant visit at home. Daniel & Mary went home about middle P.M. The day was warm and pleasant & the snow went off a good deal. We came home at 9 P.M. & Linnie came with us to stay all night. Today is (New Years) the beginning of 1866 & I am at home (so is Ellen). Our Dear Sister, Linnie, is here to spend New Years with us. I am not doing anything today, only visiting, giving myself up to merriment and so are the rest of us. I killed a chicken which we had for supper. Just night Charly H. and Miss Euginie Backer came here, they stayed the evening and we had a real pleasant time. They stayed until midnight. Linnie went home with them. The day was warm & softened down the hubs some. The going is bad. This morning I heard a voice say, Ed, I wish you a happy New Year, it awoke me out of a sound sleep. The voice belonged to some one going by very early. We believe it was Charlotte Besly & Geo. Mate was here after some milk to put in coffee and she said that Hiran Morgan & his whole family were at fathers visiting. Mate asked us to come down but we expected Charles then & did not go. I drawed a load of maple wood at the3 door this A.M.
Father helped me all day on my house. We cut out the old small window and put in a larger one for 8 by 10 glass to match those already in front. We put in new window frame and put on new siding in front up as high as top of windows. I think we done a good days work. Ellen mopped & patched my military pants and is now this evening making me a new woolen shirt (white) and baking bread. Quite a number of teams have been by here today, among them I noticed Dana and Willie on their way home from New Years. Father says that the Morgan family went home last night. He took them home with team. The day has been very chilly, but not tedious. The air feels like snow. Ellen found a 3 balded white handle knife this morning just outside the door. Father helped me all day on our house. We finished siding the front. I was all the A.M. cutting and putting is studding between, and over & under braces. The air was very cold but still it thawed where the sun struck fair. I went down home & got bottles for ink, took Mate a bottle of ink. Ellen washed today. We think Wm. Childs went by here up a cross the hill. I used 3 by 4 scanting for studding, some I bought with the place. Father keeps the horses home now because his hay is better. I took down scaffold erected to put on front siding with and piled up the old siding pulled off. Fitted in sash in the new window in bedroom, took the window out of the shop and put in there, fixed the window we got out of bedroom in shop to fill place of one taken out. Father came up and we fixed the sleigh box for use. Killed a red squirrel for Joe this P.M. I went down to the ville, looked over store account, found his due $19.63. This includes one dollar that I traded today. Articles bought today are as follows, 5 pounds shingle nails 50 cents, 2 spools thread 20 cents, one pound of soda 15 cents, set of knitting needles 5 cents, & skein of linen thread to the amount of one dollar included in account of 1865, changed a pair of shoes for Mother. Ellen is knitting this evening. The day has been very cold with squalls of snow. Tonight tis very tedious. Balanced books with Tracy for Austin. Justice Watkins was there at time & I rode home with him. Drawed off each account between Austin & I this evening find when all is reckoned. Dr. to A.B. Austin $17.37 for 1865. My blacksmith Bill charged $7.00 according to my book at Wm. Smiths shop & $2.50 at John Gustin.